Running Ronin: Life-sized Gundam details are amazing! Life-sized Gundam details are amazing! The photo above is just a teaser... Can you recognize the detail? (see response at the bottom of the page). As you might have understood, I went to visit the 1:1 Gundam in Odaiba, Tokyo. It really looks ABSOLUTELY AMAZING. 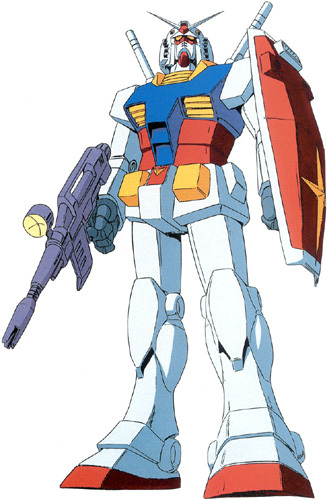 It is as if the "old school" Gundam RX78 piloted by Amuro Rei (known in Italy as Peter Ray, btw) had just landed. Thank god they chose to make the statue of the RX78, cause none of the newer ones have ever matched its beauty. Expect more Gundam HDR photos as soon as I have time to process them! Answer: The above is a detail of the Mobile Suit's knee - seen from behind.